One of our greatest assets is our vibrant global network of independent experts in 70 countries around the world, some of which are listed below. They share information and expertise to solve medicines access and use problems around the world. Within our network, some regions have HAI-specific organisations. Anyone interested can join those region-specific networks. Each region is represented on our Foundation Board. Only the HAI Europe Association charges members a fee to support the work of its board and members. More information on joining our network is available here. Acción Internacional para la Salud (AIS) Latinoaméricana and Caribe is a network of organisations in many countries. It promotes universal access to essential medicines, rational use of medicines and the democratic participation of individuals and communities in the formulation, implementation and monitoring of health policies, particularly those related to medicines. BUKO Pharma-Kampagne Federal Coordination Internationalism is a network of around 200 solidarity groups and individuals. In 1981, BUKO started a campaign against global malpractices in drug marketing by multinational pharmaceutical companies. The focus of the Pharma-Kampagne is to stop unethical drug marketing practices and to foster rational use of drugs all over the world. The Pharma-Kampagne works with medical students, doctors, pharmacists and medical scientists, through campaigns, publications, press work, public debate and dialogue. The Commons Network is a non-profit advocacy organisation and think-tank that engages in policy formulation as well as public debate, promoting the public good through commons-based solutions. It promotes access to knowledge and other social and ecological causes. It is based in Berlin and Brussels. EKPIZO stands for the Greek acronym of the full title ‘Consumer Association the Quality of Life’. The nongovernmental, non-profit organisation was established in 1988, and aims to protect consumers’ rights, and improving the quality of life. With over 26,000 individual members, EKPIZO informs and educates consumers, and protects and promotes their legal rights by means of lobbying mediation, judicial actions, and publications. In successful extrajudicial and judicial actions, the organisation has enabled the return of illegally withheld reimbursements to its members, totalling more than €21,000,000. Health Action International (HAI) Africa is a growing regional network of consumers, NGOs, health care providers, academics and individuals in more than 20 countries in Sub-Saharan Africa promoting increased access to essential medicines, the essential medicines concept and the rational use of both modern and traditional medicines. Health Action International (HAI) Asia-Pacific is part of an independent global network, working to increase access to essential medicines and improve their rational use through research excellence, evidence-based advocacy and strengthening the capacity and involvement of civil society in government decision-making. It is an informal network of non-governmental organisations and individuals in the Asia-Pacific region that is striving to achieve health for all. 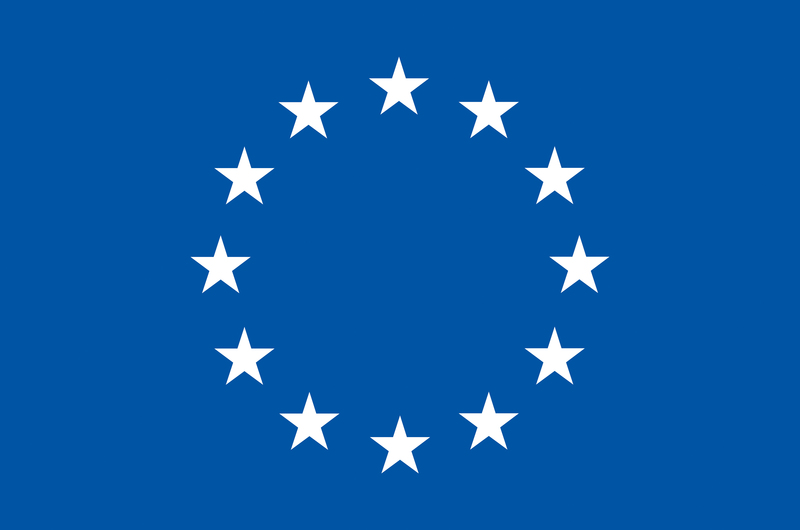 The Health Action International (HAI) Europe Association is a formal membership body of organisations and individuals that are interested in promoting access to, and the rational use of, needed medicines in the European Union (EU). Established in 1994, the HAI Europe Association membership elects Association board members, shapes the Association policy on membership issues, passes resolutions and shares information on activities and campaigns. Dr Adriana Ivama Brummell, PhD, is an international health, health surveillance and regulation specialist. She has international experience in engaging stakeholders for promoting policy and regulatory changes regarding medicines and other health technologies, as well as strengthening the education and practice of health professionals with an interprogrammatic approach. Focus areas of work include health system reforms; policies, regulation, research, access, incorporation and rational use of medicines and other health technologies; pharmaceutical services based in primary health care; human rights and social participation. Line Buan is a Norwegian hospital pharmacist with a passion for rational medicine use and availability for all, and against antibiotic resistance and illegal medicines. Dr Constantinos Christopoulos, MD, PhD, is a Consultant Physician and Haematologist, and Director of the Department of Internal Medicine at the Amalia Fleming Hospital in Athens, Greece. His interests include medical education, cost-effectiveness analysis, and the promotion of the rational use of drugs. He is a member of HAI Europe association and has translated WHO/HAI’s manual “Understanding and Responding to Pharmaceutical Promotion – A Practical Guide” into Greek. Andrew Defor is a Professor of Global Health and Senior Diplomatic Strategist. He specialises in the field of global health foreign policy, diplomacy, multilateral negotiations, advocacy and government relations. Since 2008, he has acquired extensive global health diplomacy, foreign policy, international affairs, advocacy and government relations experience through his work at the United Nations World Health Organization, CARE Canada and other Canadian non-governmental organisations. After his first degree, he worked as a policy analyst with the Department of Essential Drugs and Medicines at the World Health Organization. He currently acts as vice-president and director of the Global Affairs Training Program at the Canadian International Council’s Toronto Branch. He is the founder, former head of mission and former executive director of the Toronto Branch of a global organisation, The Young Professionals in Foreign Policy. He also holds academic teaching positions at Seneca University College, Mohawk University College and Centennial University College in Canada. He has a Master’s degree in Pharmacology(global health specialisation) from the United Kingdom and another Master’s Degree in Public and International Affairs from York University, Canada. He recently became a candidate of the Doctor of Philosophy Degree in Global Health at a top-five world ranking university. Dr Nafis Faizi is an Assistant Professor in Community Medicine at JN Medical College, AMU, Aligarh. His primary research areas include adolescent health, non-communicable diseases, randomised impact evaluations and health systems, primary health care and diseases at the intersection of public health and poverty. Apart from primary research, he works as a trainer for the Epidemiological Research Unit and Public Health Research and Assistance Society (PHRASe) for different aspects of research methods, design, biostatistics, software and research dissemination. He advocates health as a fundamental right and for its public provision. Vildan Gocmen is a pharmacist working at the Turkish T.C. Ministry of Health Yalova Provincial Health Directorate. He also organises regional activities and projects regarding the rational use of medicines for pharmacists, physicians and the general public. Joel Lexchin, MD, Professor Emeritus, has been active in the HAI network for 30 years, and is now a member of the HAI Europe Association. He has researched, written, and talked publicly about pharmaceutical policy, both in Canada and internationally. Prof. em. Lexchin is currently based at York University, in Toronto. Professor Donald W. Light is an activist scholar who has published works on ethical challenges posed by commercial health insurance, the effects of managed care on professional care, and the consequences of developing new medicines through patent-driven research. Key documents include: The Risks of Prescription Drugs (Columbia University Press, 2010) and Good Pharma: The Public Health Model of the Mario Negri Institute (Palgrave 2015). Prof Light is affiliated with Rowan University School of Osteopathic Medicine. Dr Rusla Anne Springer is an Assistant Professor in the College of Nursing at the University of Saskatchewan. Her work focuses on the ethics of pharmaceutical industry omnipresence in healthcare research and practice. Her area of inquiry is among the most pressing of the social, political, economic, scientific and ethical challenges facing the sustainability of health care systems around the world. Dr Springer’s published works in this area problematise the relationship between the pharmaceutical industry and the profession of nursing and are intended to raise awareness amongst nurses about the magnitude of the purview of the pharmaceutical industry and its insidious ‘creep’ into nursing’s intimate relational spaces. Staffan Svensson, MD PhD, Sweden is a Specialist in Clinical pharmacology and Family Medicine and a member of the HAI Europe Association. Health Projects for Latvia (HP4L) is an independent non-governmental organisation working on medicines policy from the public health perspective. HP4L works to foster transparency in the healthcare system and pharmaceutical market, and to democratise decision making. The main objectives of HP4L are to: contribute to good governance of health and medicine policies; promote health literacy and patient empowerment; advocate for transparency in pharmaceutical market and policies; and promote the rational use of medicines and ensure the availability of non-commercial information for patients and health care providers. Founded in 1986, the International Society of Drug Bulletins (ISDB) is a worldwide network of bulletins and journals regarding drugs and therapeutics that are financially and intellectually independent of the pharmaceutical industry. Currently, ISDB has approximately 80 members in 41 countries around the world. The Medicines in Europe Forum (MiEF), founded in March 2002, is an informal European network of organisations that are active in the healthcare field and represent four major groups of stakeholders: patients and victims of medical interventions; healthcare service users and consumers; healthcare professionals; and health insurance providers.The Forum analyses draft legislation in detail, anticipates and explains any potential dangers they pose for patients, proposes alternatives, meets with Members of Parliament, highlights the potential consequences to Member States’ health ministers and European Commission departments, and organises public debates. 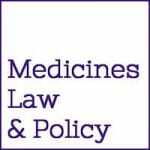 Medicines Law & Policy brings together legal and policy experts in the field of access to medicines, international law, and public health. They provide policy and legal analysis, best practice models and other information that can be used by governments, non-governmental organisations, product development initiatives, funding agencies, UN agencies and others working to ensure the availability of effective, safe and affordable medicines for all. For more than 40 years, medico international has been promoting the human right to health. Together with our partners in Africa, Asia and Latin America, we are striving to achieve living situations that allow the best possible level of health. MEZIS (“Mein Essen zahl ich selbst”, or I pay for my own lunch in German), was founded in 2007 by incorruptible (German speaking) doctors. MEZIS fights the ubiquitous influence and unwarranted power of the pharmaceutical industry in healthcare. It also raises awareness amongst fellow doctors and medical students that accepting pens, food, trial sponsorship, travel expenses and remuneration for post marketing surveillance studies (PMSS) makes one’s prescribing habits vulnerable to influence. We demand a clear prohibition of influencing and corruption in the regulations of medical professionals and promote producer-independent information and continuing medical education (CME) programmes, along with medical software that is free from advertising. MEZIS is part of the worldwide “No free lunch” network. Oxfam is a global movement of people organised in 17 affiliates and working in more than 90 countries around the world. Together with others, we save and rebuild lives during disasters and help people build better lives for themselves. We also speak out and enable others to speak out to change what keeps people poor including inequality, lack of access to health and education services, discrimination against women and climate change. Founded in 1982, Physicians for Social Responsibility (PSR) unites approximately 1000 Finnish professional and student physicians, dentists and veterinarians. The aim of PSR is to raise physicians’ awareness of ethical and social matters concerning the whole of mankind, and promote safe livelihoods, equality and peace. In addition to being non-partisan, PSR is independent of companies and other commercial entities that could endanger the professional integrity of physicians, and does not accept support from the medical industry. PSR is a part of the International Physicians for the Prevention of Nuclear War (IPPNW), as well as Health Action International Europe Association (HAI). plan:g – partnership for global health is a human rights-oriented organisation that works in the health sector of development co-operation. plan:g is part of the catholic church, diocese of Feldkirch, Austria. plan:g’s prime objective is to overcome poverty and deprivation in developing countries through structural improvement of health systems. This work for sustainable health is part of promoting economic and social development, which shall lead to processes of structural and social change, and economically and ecologically sustainable growth. plan:g acknowledges the multiple interdependencies between countries, peoples and individuals in a globalised world. Therefore, development education in Austria is among plan:g’s priority intervention fields. plan:g operates nationally and internationally. It works in Austria and in the recipient countries of official development assistance that are listed by the Development Assistance Committee (DAC) of the Organisation for Economic Co-operation and Development (OECD). In disaster and emergency cases, plan:g’s activities can be expanded beyond the countries mentioned by the OECD. Prescrire is a non-profit, continuing education organisation, committed to better patient care. Since 1981, Prescrire has provided healthcare professionals—and via them, patients—with the clear, comprehensive and reliable information they need about drugs and therapeutic and diagnostic strategies. Prescrire publishes a monthly journal in French and an international edition in English 11 times a year, plus a yearly supplement in French devoted to drug interactions. A non-profit organisation, Prescrire is wholly financed by its subscribers and accepts no advertising or other outside support. Public Eye (previously Berne Declaration) is a non-profit, independent Swiss association with around 25,000 members. It has been campaigning for more equitable relations between Switzerland and underprivileged countries for more than forty years. Among its most important concerns are the global safeguarding of human rights, the socially and ecologically responsible conduct of business enterprises and the promotion of fair economic relations. Public Eye addresses issues of trade policy, commodity production and trade, the politics of food, finance, fair trade and health. Its main focuses in health are access to medicines, responsible R&D and ethical clinical trials. It carries out investigative research, runs public campaigns and undertakes advocacy work in Switzerland and internationally on all these aspects. Salud por Derecho is a human rights defense organization. Its institutional purpose is to contribute effectively to the full realisation of the right to health of all people in impoverished countries. Our mission is advocacy, awareness-raising and civil society engagement. T1International is a small charity based in London. We believe in a world where everyone with type 1 diabetes—no matter where they live—has everything they need to survive and achieve their dreams. We work towards adequate access to insulin, diabetes supplies, medical care and education for all people living with type 1 diabetes. We do this by raising awareness, campaigning and collaborating with existing initiatives, and supporting individuals and organisations on the ground that are working to make life better for people with type 1 diabetes. United World Against Diabetes (UWAD) is a non-government organisation fighting against diabetes in India. The mission of UWAD is to promote diabetes care, control, prevention, awareness and working to increase access of essential medicines and insulin for diabetic people. They are advocates for children with Type 1 diabetes and women living with diabetes. Universities Allied for Essential Medicines (UAEM) is a non-profit global network of university students who believe that our universities have an opportunity and a responsibility to improve global access to public health goods. Its network consists of hundreds of university and college students who work towards making medicines more affordable and adequate for all. UAEM aims to promote access to medicines and medical innovations in low- and middle-income countries by changing norms and practices around academic patenting and licensing, supported by its own independent research; ensure that university medical research meets the needs of people worldwide; and empower students to respond to the access and innovation crisis. Health is a human right. Wemos advocates for a world in which everyone can lead a healthy life. We influence (inter)national policy makers in order to take decisions that respect, protect and realize the right to health. Our contribution to policy changes aims at making structural improvements in health for all. We advocate for ethical conduct, coherent and fair policy, and health equity in a global perspective.